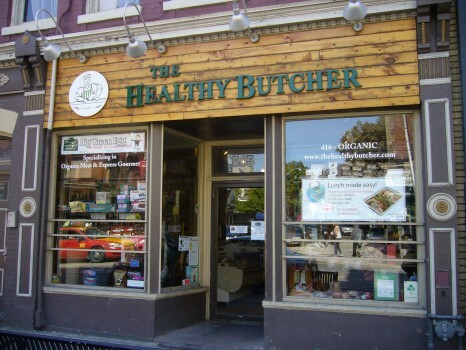 The Healthy Butcher‘s Queen West storefront. Their other location is on Eglinton Avenue at Avenue Road. It’s that time of year again. The beautiful colours of autumn have vanished, leaving us with brisk temperatures and the craving for good ol’ comfort food. The delicate flavours we enjoy during the summer lack the oomph that our palates (and padding) require during winter. Enter the magical cooking technique called braising, the technique behind France’s famous coq au vin and boeuf borguignonne and Italy’s osso buco—chef talk for the slow cooking of cheap cuts of meat. “Braising” sounds like a complicated culinary term, but really all it means is slow cooking in a flavourful liquid. The key is to start with a tough and inexpensive cut of meat—like a beef blade roast, cross cut roast, shanks or brisket or even pork shoulder roast. These cuts aren’t only less punishing on the pocketbook, they are best enjoyed through the braising method. The ultimate cooking pot for braising is an enameled cast iron pot like a Le Creuset; if you don’t have one, any heavy pot will do. Season the meat generously with salt and pepper and sear until browned all over. Remove it and set aside. Toss in chopped onions, celery and carrots (referred to as a mirepoix), then turn the heat down to medium to let the vegetables cook slowly and release their yumminess. After about five minutes, deglaze with some wine or stock. “Deglazing” is the process of loosening those browned bits (the fond) stuck to the bottom of the pot after searing. Return the meat to the pot and add liquid to come at least three-quarters up the meat—a combination of flavourful stock and wine is perfect. Many recipes call for the addition of water; feel free to throw in spices, fresh herbs, garlic…you are limited only by your imagination. Our mothers may not have known the science behind their pot roast but it was still magic. At what point in history did the tradition of a Sunday pot roast with the family disappear? I think it should be mandatory. Mario Fiorucci is the proprietor of The Healthy Butcher. 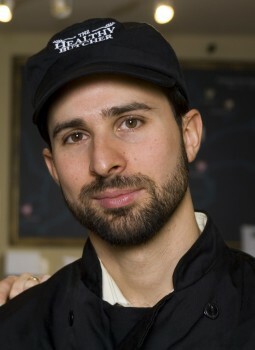 He is also the founder of RealFoodToronto.com, Toronto’s newest and freshest source for Real Food, where you can learn about cooking and enjoy the food delivered to your door. Mario writes the Meet Your Meat column for KingWest.This article originally appeared in that magazine. The Healthy Butcher will be bringing its meat and more (including Alba Lisa gourmet food products!) to the Gluten Free Garage! Posted in GFG exhibitor!, Guest blog, Stores we ❤, Tummy love.